Valentine’s Day is upon us again, and we give some astrological thoughts about Valentine, the planet of Love – Venus, and Divine Love. Venus is the dispositor of love and generosity, and love, of its own nature, gives of itself, from one human to another, it is a making of sacred space within for the other to be. And between persons and the Divine, it is turning to the Divine with love for the Divine. There are varying opinions as to the origin of Valentine’s Day. 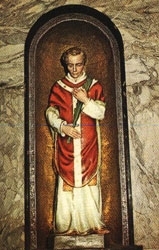 Some experts state that it originated from St. Vallyntyne, a Roman who was martyred for refusing to give up Christianity. He died on February 14, 269 A.D., the same day that had been devoted to love lotteries. Legend also says that St. Vallyntyne left a farewell note for the jailer’s daughter, who had become his friend, and signed it “From Your Vallyntyne”. Other aspects of the story say that Saint Vallyntyne served as a priest at the temple during the reign of Emperor Claudius. Claudius then had Vallyntyne jailed for defying him. In 496 A.D. Pope Gelasius set aside February 14 to honour St. Vallyntyne. Gradually, February 14 became the date for exchanging love messages and St. Vallyntyne became the patron saint of lovers. The date was marked by sending poems and simple gifts such as flowers. There was often a social gathering or a ball. 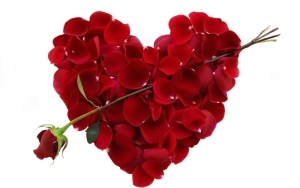 Valentine’s day began in the UK with the anonymous habit of sending a valentine heart, pink, satin, florally decorated, to one’s beloved – or perhaps – a secret love, a secret flame. In the second half of the 20th century, the practice of exchanging cards was extended to all manner of gifts. Such gifts typically include roses and chocolates packed in a red satin, heart-shaped box. So Valentine’s Day is a day of declaring one’s love, and in some places, renewing a professed love, and even, renewal of wedding vows. There are many kinds of love; love of Mother, love of family, love of one’s friends and love one has towards all of these. There is possessive love, there is jealousy, an overpowering love, there is saccharine love which drowns others in gushy affection, and there is puppy love, love that cannot be responsible for self nor others. And there is Divine Love. Divine love is eternal, endless, inexhaustible. Divine love is there for the taking, if we but turn to God with love for God. Divine love is heaped up, pressed down and overflowing to the one who turns to the Divine (in any name, any form) with love for the Divine itself. Truth, goodness and beauty – these are the attributes of Divinity and true humanness – that is, human beings acting with integrity – vasudeva sarva midam – ever seeking divinity in all things. In Sankrit, Truth is Sathyam; Goodness is Sivam; Beauty is Sundaram. The planet Venus contains, releases and perpetually flashes forth different patterns of cosmic energy. Whether the ever-changing energies coming forth from Venus raises us up or pulls us down, is largely dependent on how we understand and take up, integrate and apply the energies of the planet. Venus is our sense of divine love, beauty and grace. While Venus is taken to represent the passions, and following our happiness, there is a capacity in the influence of Venus to think and to make quite sharp decisions. Venus may access the intellect in what Carl Jung calls the feeling function (in Jungian typology) which makes decisions on the basis of what is valued, what is felt to be important. So Venus has the ability to make the best, balanced and heart-felt decisions. Passion is an affection of the mind. Passion is any kind of feeling by which the mind is powerfully affected or moved; a vehement, commanding, or overpowering emotion; in psychology and art, any mode in which the mind is affected or acted upon (whether vehemently or not), as ambition, avarice, desire, hope, fear, love, hatred, joy, grief, anger, revenge. Herein lies the key: passion originates in the mind driven by the rays of light within which express the energies of Venus. One has to master the mind and be a mastermind in disciplined, controlled enactment of passion, or fall prey to the ego, its outgoing expression of “I, Me, Mine”. Passion is not a bad thing; passion is, and is most satisfying and grants Truth, Goodness and Beauty if it is disciplined use of passion. Everyone needs to love and be loved. Affection, succorance and nurturance are three basic needs of the human person. Venus disposes these needs and energies in the form of light within. Love makes space for the other within to exist, to be, without affectation or excuses; Love allows me and the other to be “Who I am” with all my neediness. Love is not a battle of possession and territory, possession of a person, territory of a body. Infatuation with another is an evil, for infatuation collapses ego boundaries and seeks to make the other One with the self. The small self cannot sustain such ingress into ego for long and sooner rather than later, ego boundaries are re-erected and discounting and repugnance of the other sets in like brown-rot. Divine love is ever self-giving, ever on the lookout, ever on the watch for us and our turning unto that Love to drink in its depths. Divinity itself is humbleness, ever ready to turn, to listen to our prayer, to come to us with Divine Love, its very own nature. The presence of the Divine is always a divine-self-giving. God is the essence of Truth, Goodness and Beauty. This is why it is worth getting closer and closer to Him through prayer full of love. Imagine someone, who is extremely tender and loving, who looks at you and your actions with incredible goodness, who accepts and loves; somebody, to whom all existing beings in all times pray to. Wonderful angels, beings full of effulgence and inner glory are looking with unceasing affection in face of This, in Whom everything has origin, and Who, staying in the limelight is at the same time a paragon of modesty and devotion. Imagine, that this very somebody is just next to you and is ready to present you with His love and everything that He’s got available. When you think thus, you are indeed very, very close to the truth. You are in heaven with Him. Love is heart of religion. Love is a song of existence and gratefulness that moves hearts. Thankfulness for life, for love, for all good, which flows from the most loving Highest, who constitutes an exemplar to everybody. Our Father and Mother, we descended from Your Love. Pray, show us the path to Yourself, so that we can rest in Your loving arms for ever. Lead us through life so that we can carry out your loving injunctions. Please, develop in us an inclination to listening to your voice and submissively following it. Confer on us and on all other beings your blessings of love, joy and happiness.